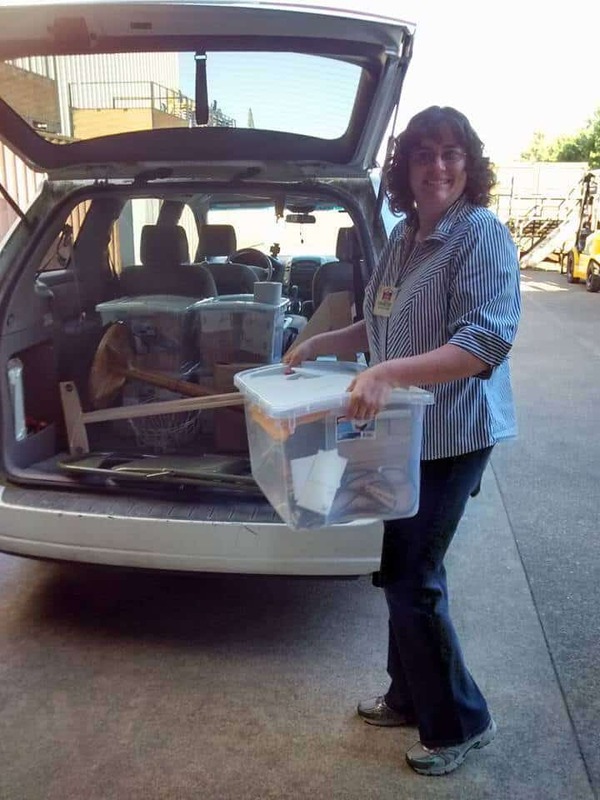 At the beginning of this month we attended the Mother Earth News Fair in Albany, Oregon. It was a great experience! It was like that roller coaster but on a good day when I love the thrill of the ride. So why the delay in blogging about it? Well… I needed to wait for life to calm a little before I could gather my thoughts. Plus, upon returning I had some health stuff to work through. So, now that we are back, I am feeling better and the house in cleaned (I don’t feel very inspired if the house looks like a tornado hit) I can now think again. We went to the Mother Earth News Fair with one main goal. We knew that if you were going to gather the perfect group of people to try our product on, the best “focus group”, these were “our people”. So, our goal was to get a feel for the market and see people’s reactions. The experience was wonderful. First of all the fair itself was wonderful. If you ever have a chance to go to a Mother Earth News Fair I highly recommend it. 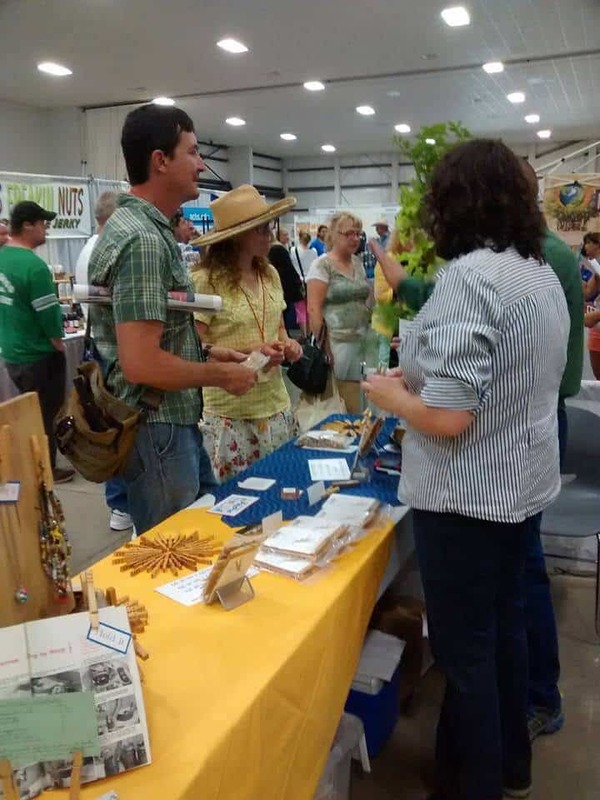 There were stages set up throughout the fair grounds and all through the day workshops took place. Over 150 workshops took place in two days. The topics ranged from natural medicine to solar power to how to make butter. My favorite was when the stage across from our booth had a 2 part Pork Butchery Workshop. The speaker brought half a pig, put it on the table and showed the people live how to cut it up. Afterwards, he entered the booth across from ours, put his disassembled pig parts on the table and answered questions. Love it. Part of me was really sad I was busy and couldn’t attend workshops all day. Usually when I attend a fair with vendors I always run into the pushy vendors or the ever present window and gutter salesman that insist on telling me about how I NEED their product. 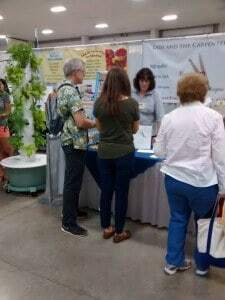 This set of vendors were not pushy and many were there to simply help educate. They were selected to represent the topics that Mother Earth News care about. Nice group of people. We also were interviewed by Wranglerstar, a wonderful Youtube channel that focuses on Homesteading topics. There were several times in that few hours that The Carpenter and I just looked at each other wide eyed.Though we have had our share of critics or doubters, this experience shouted out to us to keep at it. So, as long as people keep wanting Sturdy, Quality, American Made Clothespins we will keep making them. Who knew a year ago that we would be here today? Well, God did, and I will continue to thank Him for each moment in this adventure. Also, Congratulations to Corinne for winning the Mother Earth News Fair Raffle for 30 Kevin’s Quality Clothespins! I wanted to let you know I received my first 2 sets of clothespins on Friday, and by Saturday they were being used, I have to say it took me a minute to open the package and start using them, it’s kinda like the good stuff your Mom always had but we never used, I wanted to put them away to keep and save but I came to my senses and boy am I glad I did, these things are wonderful. Glad I have 2 more sets on the way, I will probably need more. Who would’ve thought clothespins could make a girl so happy. Thank You So Much!!! Did a load of laundry and hung the clothes out to dry. Ran some errands and got home to find the breeze/wind had blown the pants off the line and down into the stickery raspberry bushes down the bank. I climbed down and recovered them – and went in the house to open up your clothespins I purchased at the Mother Earth News Fair. Rehung the pants and wondered why I didn’t just use your fabulous clothespins in the first place. I LOVE your clothespins!